Looking for alternatives to InsideSales.com Predictive PowerDialer? Tons of people want Outbound Call Tracking software to help with generate location, record prospect data, and record calls. What's difficult is finding out whether or not the software you choose is right for you. We have compiled a list of Outbound Call Tracking software that reviewers voted best overall compared to InsideSales.com Predictive PowerDialer. Based on reviewer data you can see how InsideSales.com Predictive PowerDialer stacks up to the competition, check reviews from current & previous users, and find the best fit for your business. "If you're looking to increase call volume look no further: One thing that has been absolutely amazing about Connect and Sell is the amount of call volume you can get in a single day. We used to start out by having 40 calls a day to now exceeding 200 calls going out. The amazing piece is that you can leave a voicemail with each of those calls and really only need to focus in on the calls that patch through. It's been a product that we weren't sure of the business impact but we've already seen results from producing more conversations and being able to follow up with greater ease." RingDNA is a complete inside sales acceleration engine that helps companies have more conversations, more insight and more revenue. "RingDNA Over Exceeds Expectations! You must try them! : Their platform is so easy to integrate with salesforce. 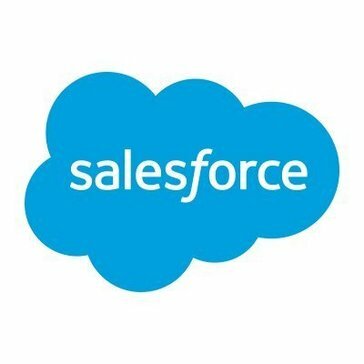 I've tried numerous different platforms that supposedly integrate with salesforce which don't work or slow down salesforce to the point you do not want to even use it. From the moment I contacted ringDNA to my three years of being a client, I've been impressed with their sales team, onboarding, and support. They are one of the few platforms our company has used that I can say has been truly seamless. Most of all their team is exceptional. Everyone I've contacted is always there to help and in any case they don't have the answer, they will find someone that does. They go over over and beyond what is necessary." "Easy to use and fool proof: Truly has amazing support. If I had a question the team got back to me quickly or sent a well-written article to help me out. If it wasn't for that I would have given up because this was my first time using a software like Truly and I needed a boost to get started. I love that you can choose your number, it records your calls and easily sends them to Salesforce - there is no guessing if it actually sent too. The team also loves constructive feedback"
"Calling and metrics made easy: Some of my favorite things about working with kixie are that I can easily switch between my desk phone and my cell phone. I spend about half the day at my desk so being able to toggle that easily is great. The forwarding functions are nice too it's very customizable the way I can route calls and set up voicemails. The biggest thing for my team is the metrics tracking. 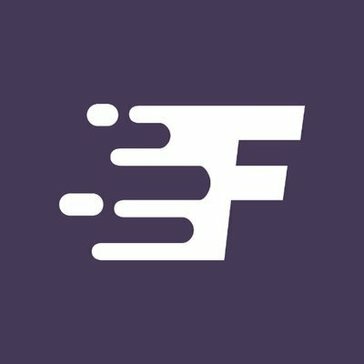 we can see all talk time, review calls, track connections all in real time. It helps us optimize our sales team and it's easy to identify and solve issues with low production. The customer support has always been top notch. We receive frequent touch calls. We always get our emails and questions responded to quickly. For times when we're adding lines and reshuffling extensions it really helps to have their knowledgable staff. Jason once even helped me learn some new stuff about my CRM! Really went above and beyond to make sure we're happy. The seem to embody that small company mentality of not having some big name or laurels to rest on. They work as hard as we do, and they provide a great service that our company sees lots of benefit from. We tried a lot of phone companies and until we settled on Kixie we always had issues. I couldn't see us going back to one of the other companies at any point. We are loyal kixie customers, and we are very glad we discovered their services. They make adding and dropping lines super simple for scaling up and down. They also have really great call quality through our cell phones and desk phones. " FrontSpin is the leading-edge sales communication software and power dialer. Their platform and power dialer implements your playbooks across all touchpoints, helping you engage with up to 3x more prospects and customers in less time, closing more deals and accelerating sales. "FrontSpin slowed me down: The dashboard with all the metrics — inbound/outbound calls, connects, talk time"
DialSource connects sales agents to the hottest leads – without speed limits. Using powerful task automation, multi-line dialing, live dashboards, and a native Salesforce.com design, DialSource enables agents to create brilliant one-on-one conversations. Leave the rest to our custom-automated software, and close deals like never before. "Dialsource exceeding my high expectations. 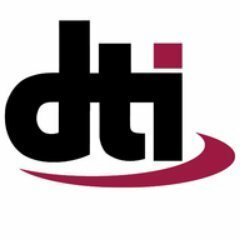 : The people at Dialsource are not only great people but highly gifted technologically. They know Salesforce inside and out and can help me with any configuration. I make jokes about their customer support that you can 't submit a request and go get a cup of coffee because your phone will be ringing with tech support before you get back! My salesman, Kevin, wasn't pushy and, unlike some salespeople, he knew this product inside and out. My boss (who had the bucks) was dragging his feet and Kevin was super patient and wanted everyone to be on board." Salesforce Lightning Dialer gains back hours of productivity by communicating more efficiently with prospects and customers. It begins by logging details right from within Salesforce. "Dialer for an All-In-One Solution: The thing I like most about Salesforce Lightning Dialer is the integration right into salesforce. There is no need to have multiple windows open or go back and forth between screens. I also like how you are able to set up your calls for the day in a list format. This makes it easy to get my calls done in an orderly fashion. Overall, I am happy with the product." 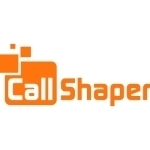 CrazyCall is a cloud based app that increases performance of telesales, cold calling and other outbound campaigns. "Exceptional customer service, very efficient tool for outgoing projects. 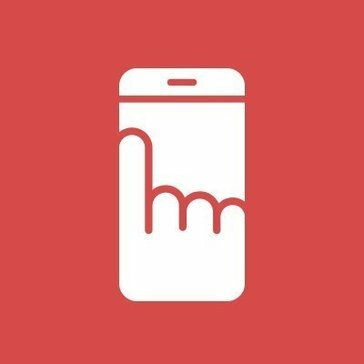 : Its general configuration is amazing, we have all the tools to manage all levels in terms of our campaigns with users. An exceptional service with the latest integrated email functionality." 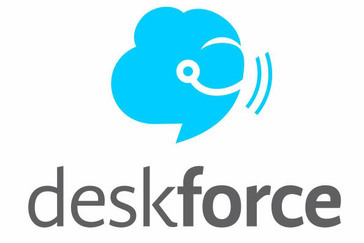 Fast and easy integration between Salesforce and your contact centre for better sales, marketing and support. "Ok for Small and Medium Size Businesses: The company tries meet your business needs and not just their own. NVM also tries to be proactive in involving you as a customer in product features that will actually be useful. " "FastCall is Excellent: Fastcall Features, stores recordings on records, records activity history, routes calls to Record Owners, has SMS, Salesforce Native, very reliable, and great support. built for Salesforce. Increase your productivity with a phone dialer and SMS app 100% exclusively dedicated to Salesforce. With Fastcall you are working with CTI subject matter experts. Built for modern business, Fastcall is compatible with softphones, hard phones, and SIP. " Velocify Dial-IQ is the only click-to-call sales dialer that enables your sales team to have more conversations and ensures they focus on the right prospects at the right time. "Decent program, but occasional latency issues: This is the system that allows me to do my job. it has improved search functions that make it easy to locate files when someone dials in. And when receiving a call from a number that has a file associated with it already, the file is linked directly to the inbound call which is super handy. You can also dial out and leave actions without needing to fully open he file, which makes it simple to dial out and leave voicemails." "Getting in the Groove with Inside Sales Box: I like the way it helps me keep on track with a planned approach to my prospecting. It helps me be much more efficient and effective with my prospecting efforts. I can make more calls and more follow-up touches (pre-recorded voicemails, pre-planned emaisl and Linked-In invites or In-Mails) faster and more effectively than ever before"
"Excelent Value and crystal cleare sound: the tmax team is extremely friendly and helpful... they helped me every step of the way even through the free trial period. very easy to use and learn my team was up and running in less than an hour." 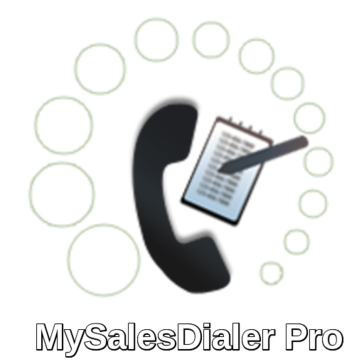 MySalesDialerPro is a mbile and cloud based inside sales solution that offers a powerful mobile dialer and a cloud dialer,. "Not dialing for donuts: I like the speed and reliability of the sodtware. I can multitask while calling people and make my notes. I can shine." A platform to run all aspects of all center's operations. "Solid platform: The ability to accelerate our calls and cut down on our inefficientcys "
Turns your cold call tracking sheet into a cloud-based light-weight CRM for your team of sales agents. "Basic Telephonic CRM: No confusing or unneeded functions for reps to see." 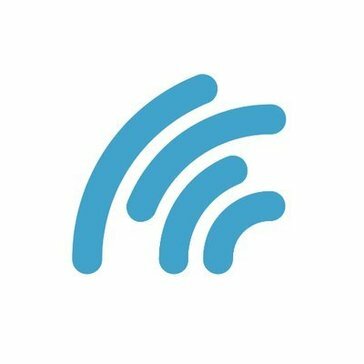 Freespee is a marketing sa-as software that helps help marketers plan, manage and analyse multi-channel online and offline marketing activity that give marketing teams the ability to quickly optimise digital marketing spend and implement new marketing strategies that increase call conversions. "used for law clients : access to customers and the opportunity to fix issues via internet "
Atomic Predictive Dialer is designed to automate outbound dialing, eliminate dead time between calls and increase the overall efficiency of a contact center. "Amazing: Its easy to implement it, easy to use and very fast." The XTR Desktop software doubles as a Computer Phone Recording software for Recording Phone Calls using the XTR Dig01 or XTR Universal Adapter Hardware as well as a player to help complete your Phone Recording System by allowing anyone to play back a Phone Call Recording made by any of our Telephone Recorders. Be the first to review XtR Desktop! The ability to account and monitor phone activity helps organizations take control of their telephone costs, identify fraudulent use, provides better management of personnel, increased employee productivity and allocates cost to various cost centers, which collectively all contribute to more efficiency and unmask additional revenue. Be the first to review Tapit NOVA! Hi there! Would you like help finding solutions similar to InsideSales.com?